1 The flag-draped casket of former President George H.W. 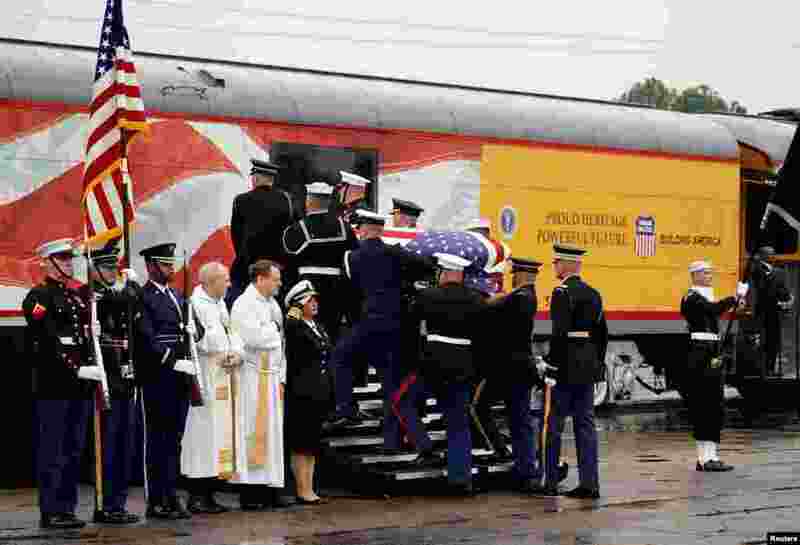 Bush is carried by a joint services military honor guard in Spring, Texas, as it is placed on a Union Pacific train. 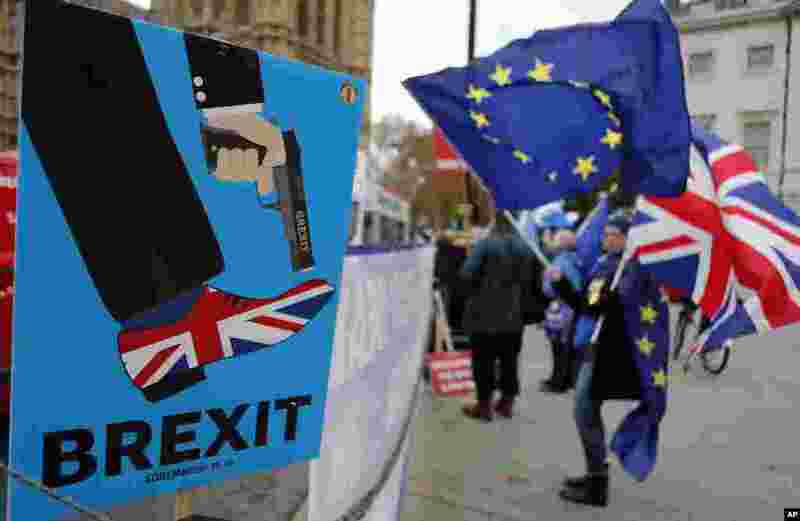 The train will take about 2 hours to travel roughly 70 miles (113 kilometers) to the city of College Station, home to Bush's presidential library at Texas A&M University. 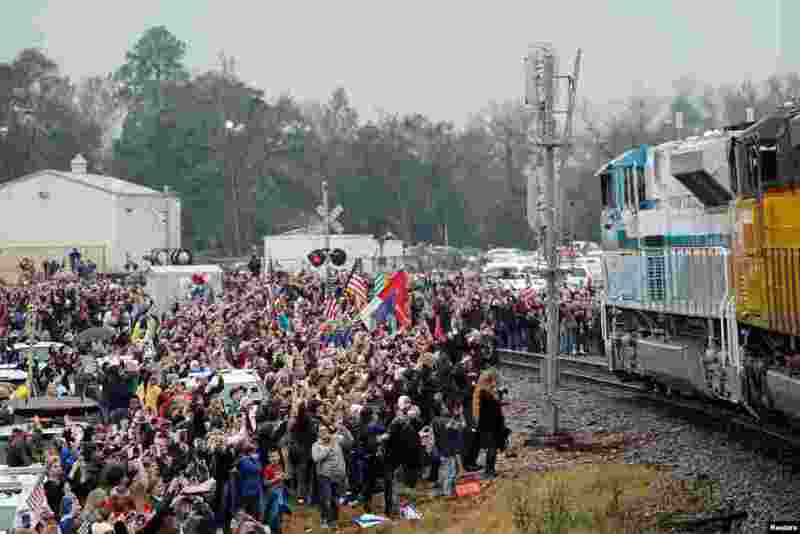 The locomotive has been painted the colors of the Air Force One plane used during his presidency and bears the number "4141" in honor of the 41st president.